The first Dudley Observatory (1892-1893) built on Dudley Heights in Albany, New York. In the 1850s, Albany, New York, was a city on the rise. The Capital Region acted as the market for all sorts of raw goods coming from farms in western New York, lumber yards in northern New York and Vermont, and textiles and milled good from New England. Financially, culturally and scientifically, the Capital Region was on par with cities like Boston and Washington D.C. So it made sense that boosters in the Capital Region would seek to add to its luster by building a university that would rival the best in Europe. The cornerstone of this university would be an observatory, capable of doing world class work in astronomy. Even as plans for the university proved to be too ambitious, enthusiasm for the observatory grew and attracted wealthy backers. Thomas Olcott, one of America’s most powerful bankers, was on board. So was Blandina Dudley, widow of the New York politician Charles Dudley, who donated over $100,000 in memory of her husband. The great patroon, Stephen Van Rensselaer IV, donated a plot of land to the north of Albany on what was known as “Goat Hill.” Construction began in 1852, and the observatory was inaugurated in August of 1856. The centerpiece of the observatory was the Meridian Circle created by the German company Pistor and Martin, purchased with contributions from Thomas Olcott. Despite popular support, with no university around it the new Dudley Observatory struggled to define itself. This led to a dispute between the first director, Benjamin Apthorp Gould, and the board which led to Gould leaving. He was succeeded by the popular astronomer and lecturer O.M. Mitchell, but Mitchell’s first duty was to his country, and so Mitchell died in the Civil War before ever setting foot in the observatory. Mitchell’s assistant, George Washington Hough, took over and showed how an observatory could serve the public. He used the observatory’s resources to serve the community, holding regular public viewings with the telescopes, using the advanced barometer to help surveyors and using the clocks to send accurate time to the Capitol. Unfortunately, the end of the Civil War signaled a decline in the fortunes of the Capital Region, and the observatory was temporarily shut down in 1873. 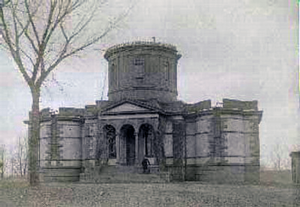 The observatory was revitalized in 1876 when Lewis Boss became the new director. Lewis Boss and his son Benjamin Boss would collectively run Dudley for the next 65 years. Together they moved the observatory towards technical astronomy, particularly towards the process of creating star catalogs. They also moved it literally, closing down the first observatory as it was too close to busy railroad tracks to the Dudley’s sensitive instruments. The second observatory was located on South Lake Avenue, south of downtown Albany, on the site of an old almshouse. 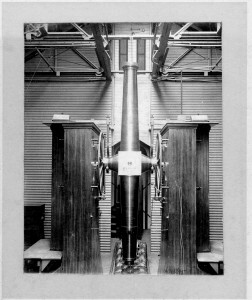 It would open in 1893, complete with a new telescope: a 12-inch equatorial built by the Brashear company of Pittsburgh, funded by the Pruyn family. In 1901, the observatory received a large grant from the Carnegie Institute and became the institutes Department of Meridian Astronomy, focusing on capturing the exact position of over 30,000 stars in the night sky. In terms of scientific accomplishments, this was the high point of Dudley Observatory. Not content with surveying the northern stars, Lewis and Benjamin Boss established a temporary observatory in San Luis, Argentina to chart stars in the southern hemisphere. The resulting General Catalog of stars remained a standard tool for astronomers until the 1970s. During and after the cataloging process, astronomers at Dudley used their results to help solve tricky astronomical problems, like measuring the motion of the sun and the rotation of the galaxy. 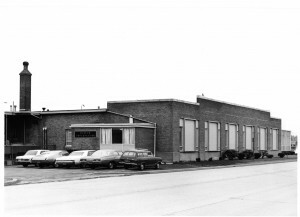 To do this work, the Boss family needed large number of computers – the word for people who labored at calculation – and so hired a large number of young women for the role. This resulted in Dudley being the largest employer of women in American science during the period of 1900-1940. Shifts in the field of astronomy following WWII were obvious when Curtis Hemenway, a physicist rather than an astronomer, became the next director. Hemenway saw the potential in space exploration and sought to aid the space race by working with groups like NASA to study potentially dangerous micrometeorites. Dudley researchers put collectors on everything from rockets to U2 spyplanes and the then traded telescopes for microscopes to study the captured space dust. This shift in roles left little use for the old building. The staff of Dudley built a lab in an office building on Fuller road, and the telescopes and other instruments were packed away. The venerable Lake Avenue observatory, now ivy covered, was sold to Albany Medical Center in 1963. 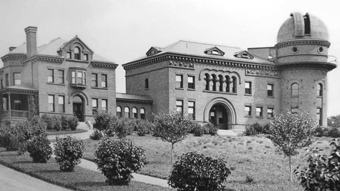 It was demolished to make room for the Capital District Psychiatric Center. As the space race drew to a close, Dudley once again shifted its focus. Under the leadership of Ralph Alpher, the Dudley’s resources were put to use by supporting research and education. The observatory became a foundation, and its endowment funded several awards and programs that advanced astronomy and astronomic education. Now, with the increasing need for greater science education along with the other STEM fields, Dudley has shifted again. In 2015, Dudley entered into a partnership with the Museum of Innovation and Science (miSci) to provide astronomy programs and education. The Dudley Observatory has survived 160 years, making it the nation’s oldest non-academic intuition of astronomical research. It has lasted this long by adapting to fit the needs of the time and to always serve the community, both the scientific community and the community found in the Capital Region. The legacy of Dudley’s observations are preserved in the original equipment, now housed in miSci collections. The Dudley archives and library, containing records of its astronomical work and many rare volumes, are now available to researchers. With this latest shift, the Dudley Observatory has become the Capital Region’s astronomy resource. In 2018 the Dudley opened its third observatory with a groundbreaking ceremony June 1st and a grand opening on the 27th of July. 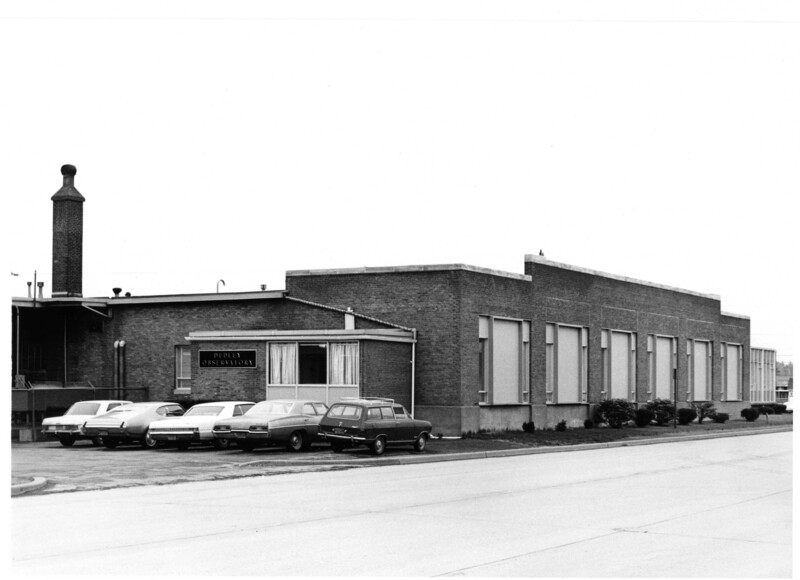 Located just adjacent to miSci, now stands a modern roll-top observatory measuring 16 by 20 feet. The roof of the building rolls off onto a trellis, exposing the entire building to the sky. Inside is a 14-inch Schmidt-Cassegrainian telescope and a removable roof for viewing the night sky and solar filter for daytime observing.